"RoboCop" is a film that has a lot to prove and the end product is honest-to-goodness surprisingly great. The original film's fans have been extra harsh when it came to the reboot/remake as much have changed - and we could definitely say that yes, much has changed and this is a very different film. 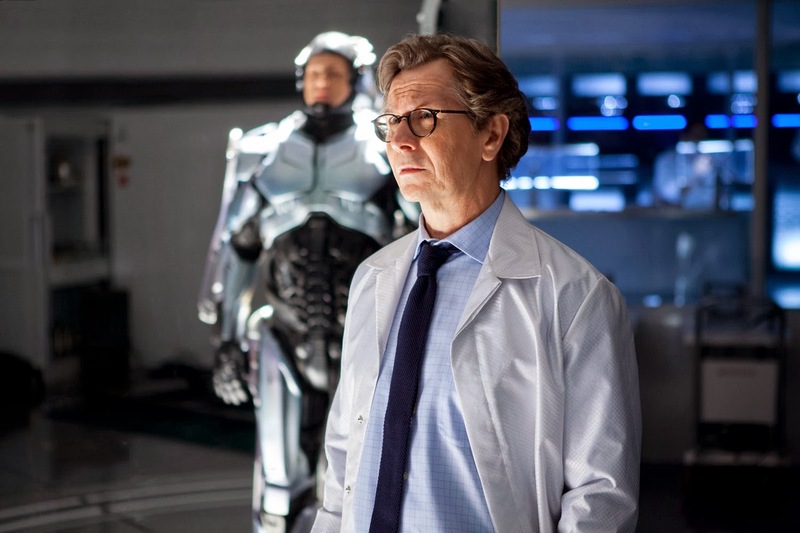 The political satires are different, the film's gore was obviously toned down and most importantly, the issues that RoboCop encounters as a human-robot hybrid varies. But most of these changes works. If you have this bias expecting this as the same "RoboCop" of yore then you would definitely nitpick ever nuance and every change and we won't be surprised if you came out disappointed. Give it a chance though, while not a perfect film, could hold its own against its predecessor in a lot of ways. The year is 2028 and multinational conglomerate OmniCorp is at the center of robot technology. Overseas, their drones have been used by the military for years – and it’s meant billions for OmniCorp’s bottom line. Now OmniCorp wants to bring their controversial technology to the home front and they see a golden opportunity to do it but the Dreyfus Act repeals the usage of robots or drones as law enforcement in the country. Its chief proponent, Senator Dreyfus, sees robots as emotionless and until this is addressed, America will be robot-free. Raymond Sellars (Michael Keaton), the owner of OmniCorp, devices an idea to mold man and machine to put human emotion into a robot. When Alex Murphy (Joel Kinnaman) – a loving husband, father and good cop, is critically injured in the line of duty, OmniCorp sees their chance for a part-man, part-robot police officer. "RoboCop" has a lot of positives that makes this film better than expected. What we really liked was the plot and how it puts its own twist on the human robot dilemma. This version pits our protagonist as a living, breathing hybrid with human emotions and even memories intact. Eventually, OmniCorp tries to control this humanity to make the "perfect" product. This actually makes a deeper narrative and makes a lot more sense. 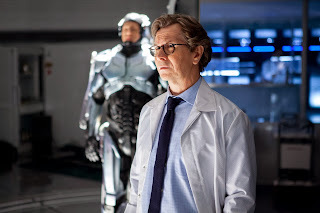 We actually loved how RoboCop changes time and time again depending on OmniCorp's decisions and how it affects the people who do care for him. It accents the robot part but also shows the inhumanity of what's happening to our protagonist. However, we did feel that the film downplayed this issue and could have made much effort to develop it further. 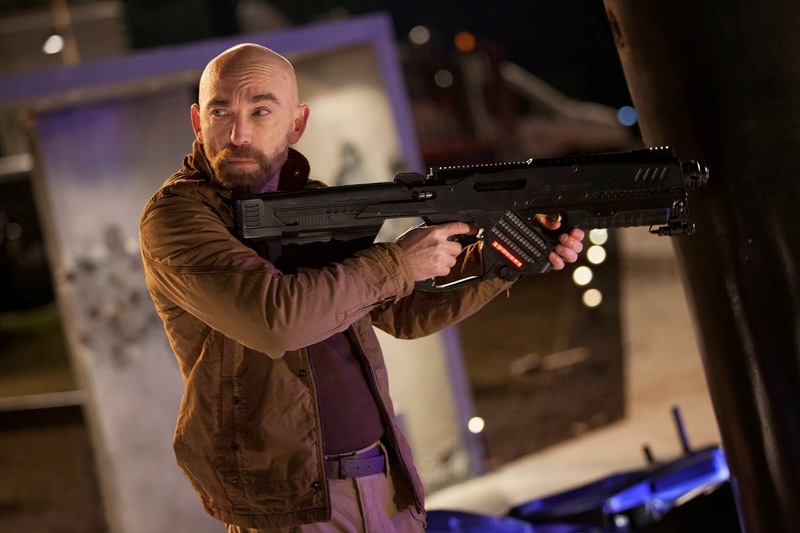 It was frustrating to experience several moral and political dilemmas and yet subplots and scenes that were crucial happened and ended abruptly. We also felt that the ending or at least the final few sequences were extremely rushed. On the acting side, this is one of the film's stronger points as well. 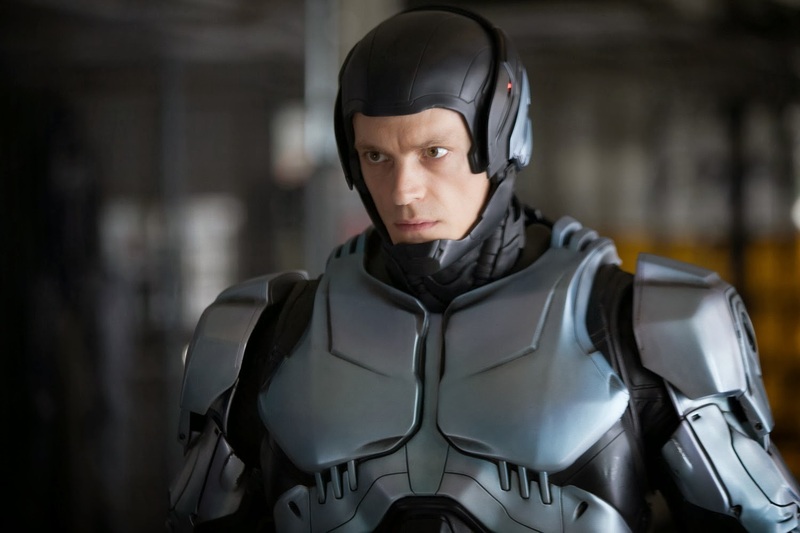 Joel Kinnaman was simply marvelous as the new RoboCop while the supporting cast was just as good except for Abbie Cornish who we felt was simply out of place against everyone else. Action-wise, the film showcases stunning CGI and hyper fast sequences that mostly works. 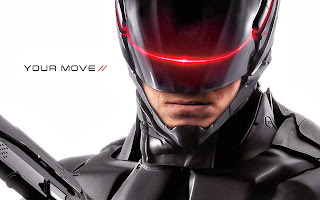 While not as gory or gritty and if this isn't the slow-moving RoboCop that most are accustomed with, this non R-rated, fast and sleek version is just as effective in our opinion. Overall, while not as iconic and memorable as the original, this remake of a classic is not as bad as most expects it to be.